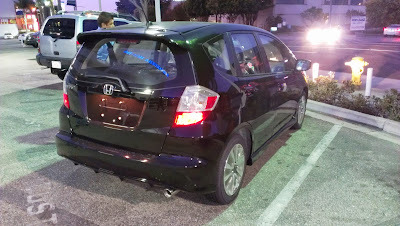 As mentioned, the 2011 Honda Fit Sport that my fiancee drives is already a pretty good car. The pre-facelifted model was already one of the better looking subcompacts on the market, but the minor cosmetic changes give the car a slightly more aggressive look. The changes are subtle, but if you look closely, you can see that the grill is now slightly smaller and has a larger honeycomb pattern, and the headlight surrounds are now black. With the face lift also comes some more aggressive looking 16 inch alloy wheels that I cannot help but feel look far better than the ones on the pre-face lifted model. Personally, I like the more aggressive look of the refreshed car. The inside of the car has not changed very much. Besides the addition of steering wheel mounted audio controls as standard across all trims, the dash now has chrome trim around the gauges. Other small changes include a cloth material with a slightly different color pattern, and black colored plastic on the center console instead of grey. Though the changes are minor, the quality of the materials are still top notch. The 2013 Fit Sport also continues to offer class leading cargo space with 20.6 cu.ft. with the rear seats up, and 57.3 cu.ft. with the seats down. For 2013, the Fit Sport is still offered with the same 1.5 liter inline 4-cylinder making 117 horsepower and 106 lb-ft of torque. While these numbers certainly are not Earth shattering, the small 1.5 liter still gets the car up to speed at a reasonable rate. EPA estimated figures also remain unchanged, with the Fit Sport continuing to offer 27 MPG in the city and 33 MPG on the highway. One of the things that I had hoped would be fixed from the 2011 model, but unfortunately was not, is the buzzing from the engine. I understand that it is a small engine and it is going to drone and buzz a bit at speed, but I had hoped that Honda would have come up with something clever to tone it down without sacrificing the car's performance. The 2013 Fit Sport's handling, steering and braking has remained unchanged from my fiancee's 2011 model. Steering is still a bit on the light and over-boosted side, but the car still corners well. The car still rolls a little too much and the brakes are still, unfortunately, medicore. Honestly, I did not expect a dramatic change in these characteristics of the vehicle. 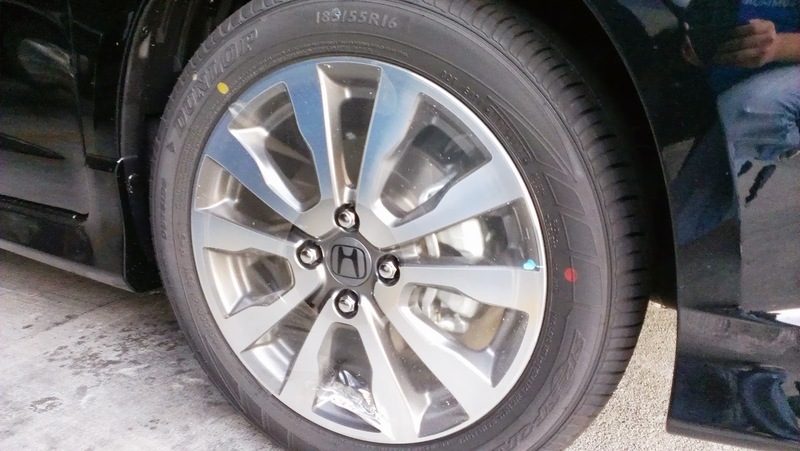 If anything, Honda will most likely make steering, handling, and braking improvements to the all new 2015 Honda Fit, scheduled to go on sale in late 2014, if I remember correctly. What seems to have changed is the transmission. While it is still supposedly the same five-speed automatic with paddle shifters as the 2011 model, down shifts seem to be much smoother. One of my biggest gripes about my fiancee's 2011 Fit Sport has always been how jerky the transmission is when down shifting in manual mode with the steering wheel mounted paddles. I do not know if Honda had changed the transmission programming in anyway for the refreshed model, but the car now jerks significantly less when calling up a lower gear manually. 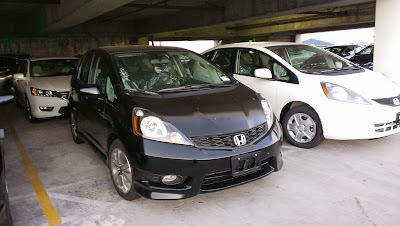 Though the 2013 Honda Fit Sport remains virtually the same vehicle as the one in our garage, it is still a great vehicle. The small visual and equipment changes do make the car a bit more appealing than its predecessor, and the 2013 Fit Sport still continues offer great performance and value in the subcompact segment. If you are looking for a subcompact with tons of cargo space, good performance and gas mileage, it is definitely worth a look. 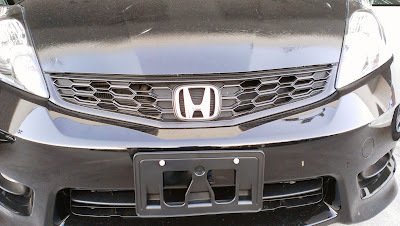 Already being the owner of a 2011 Honda Fit Sport, I did not expect the 2013 model to be that different. I like the cosmetic changes of the newer model, as they give the car a slightly sportier and more aggressive look. On the inside, I actually miss the cloth pattern from my own car as the solid cloth pattern on the 2013 model looks boring. The steering wheel now has controls for the radio, which is handy. The chrome trim around the gauges adds a little flair to the car, but aside from that, everything else pretty much looks and feels the same. 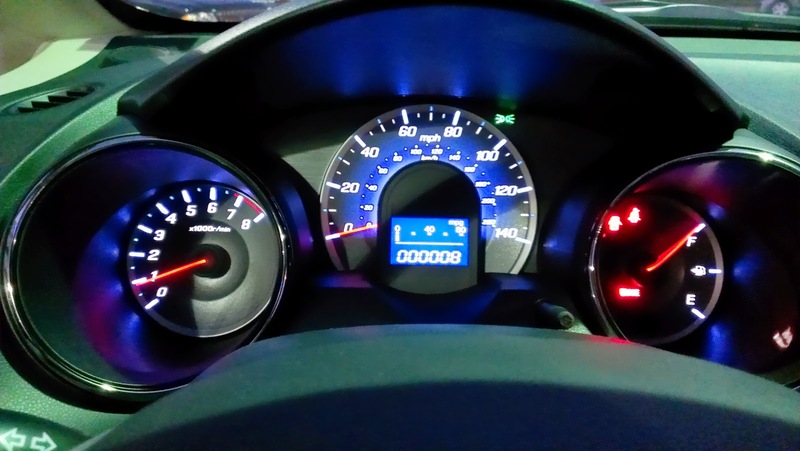 Both my 2011 Fit and the 2013 Fit drive exactly the same. Power is good, though I do wish it had a little more grunt, especially when climbing up hills. Handling is still decent, and it still feels like heavier wind will push the Fit around. Braking feels more or less the same, meaning the car brakes decently. Overall, the car feels pretty much exactly the same. While I get it that the Fit is in the same class as the other vehicles we looked at, it was pretty hard for me not to write a biased review of the car since I already own one. Nonetheless, the 2013 Honda Fit Sport is still a great car with an amazing amount of cargo space, great gas mileage, and decent power. The new, more aggressive looking front end and sportier looking wheels adds some nice touches to what is already quite a sporty looking car. If you are looking for a car that can haul a lot of cargo and needs some sporting flair, the 2013 Honda Fit Sport is a car I would highly recommend. *Special thanks to DCH Honda of Gardena for letting us test drive their vehicle. Of course, Honda has just released images of what the next generation Fit will look like. The 2013 Honda Fit offers sufficient space for passenger and cargo, but test drivers like me always want to drive a car that has a powerful engine, more elective features and a quieter cabin. When I drive it, I found that the Fit secure a top spot of its class. Glad to hear that you enjoy the Fit as well, Dan. Personally, I think the Fit could stand to be a little quieter, but otherwise, it is a fantastic car.